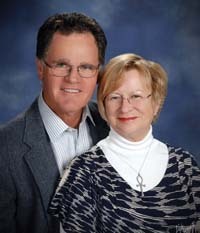 When we made the choice to move to Sonoma, we hired Pat Brown as our agent. My brother and his wife had hired her for their home purchase and my dad subsequently had Pat and Norm Brown help with the purchase of two homes — we figured we’d be in good company. She and Norm know the area like the back of their hands and they’re patient, professional, thorough, and upfront about the pros and cons of a particular property. They bend over backwards to make sure that the house you buy meets your needs and will help you explore those needs so that you end up with exactly what you want. We can’t imagine hiring anyone else. I depend on my rental properties for income and have used Pat and Norm Brown several times in recent years to make adjustments to my portfolio. 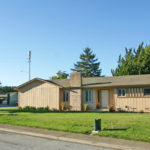 This year I sold two four-plex properties in Sonoma with their assistance. The transaction was professionally handled with few surprises due to the sale preparation advice I was provided. Thank you, Pat and Norm! On Wednesday, February 27th North Bay business leaders attended Sonoma State University’s Economic Outlook Conference at the newly opened Weill Hall at the Green Music Center. The focus of the event was “Game-Changers: Innovations and Leaders Transforming the North Bay Economy”.